Integrate SalesIQ with your joomla account to proactively prospect and deliver exceptional customer service. Download the Zoho SalesIQ plugin from here. 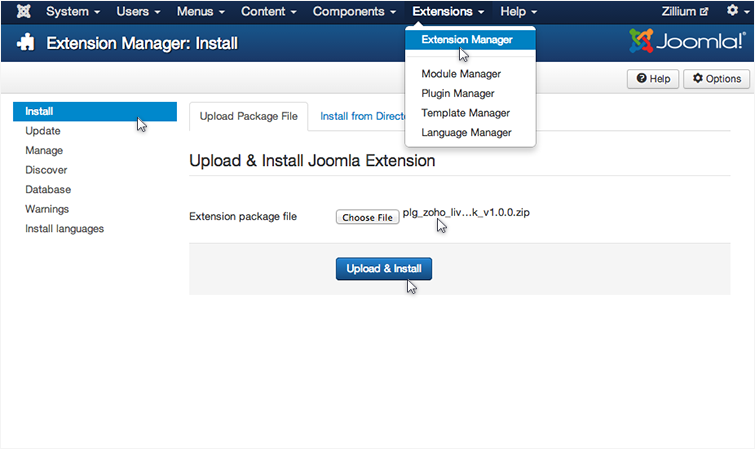 Log on to your Joomla! Administration panel. Access “Extension Manager” and click “Install”. Choose “ Upload Package File”. 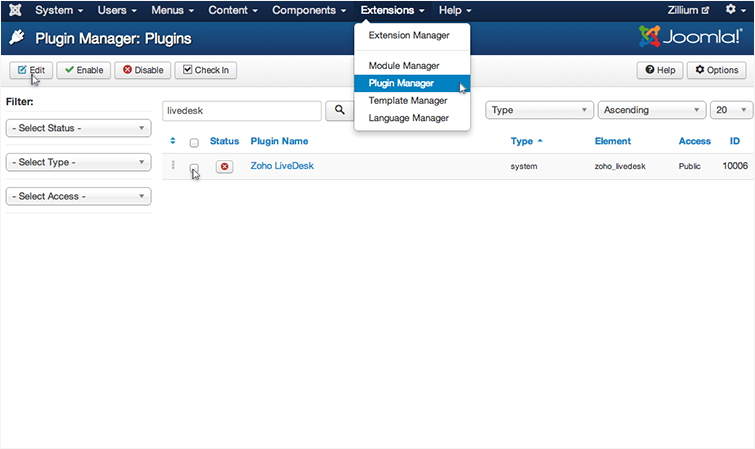 Access “Plugin Manager”, under “Extensions” tab and search for Zoho “SalesIQ” Select the plugin and click enable. 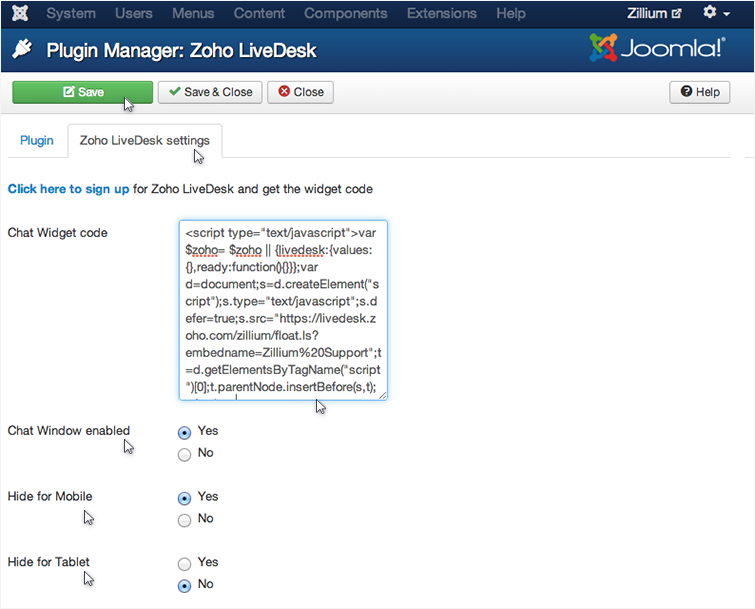 Search for “Zoho SalesIQ”, tick the checkbox that appears next to the plugin then click at “Edit” tab above. 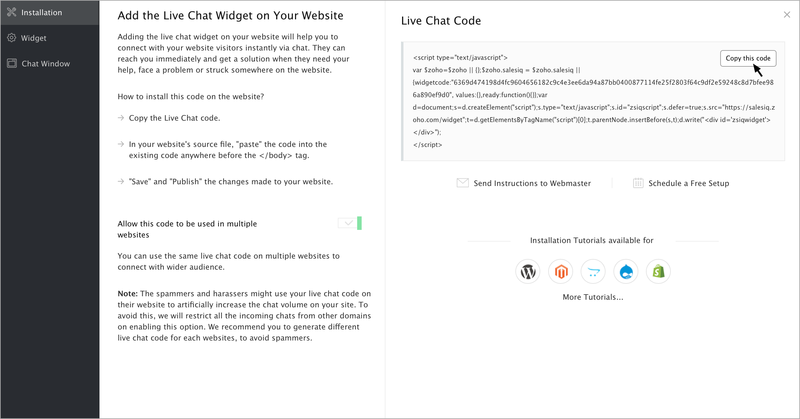 Paste your Zoho SalesIQ Float chat widget code. You will be provided with three options to customize. Chat Window enabled – This configuration allows you to handle the visibility of chat bubble in your Joomla site. Hide for mobile – This configuration allows you to handle the visibility of chat bubble in your Joomla site when accessed from mobiles devices. Hide for tablet - This configuration allows you to handle the visibility of chat bubble in your Joomla site when accessed from tablets. 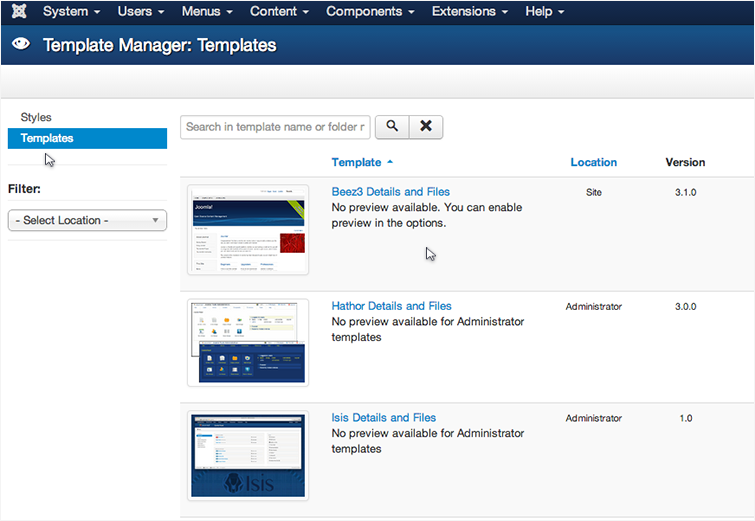 Log on to your Joomla Administration area. 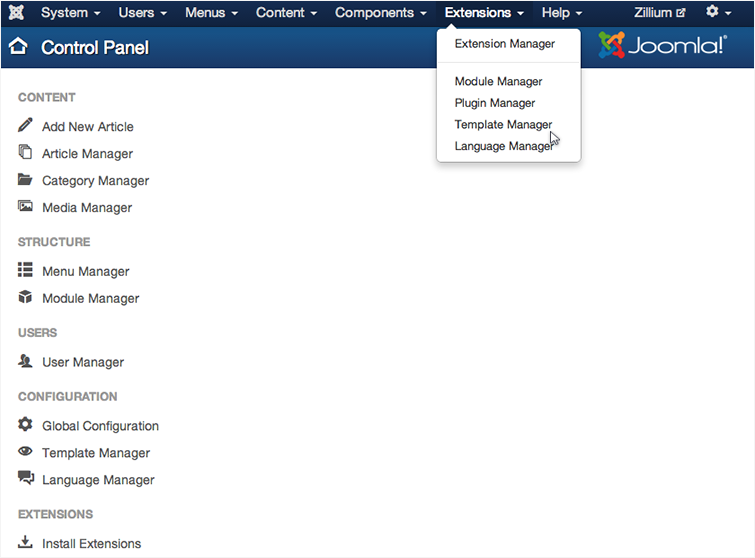 Go to “Extensions” and select “Template manager” from the drop down. Click on “Templates” tab from the right. 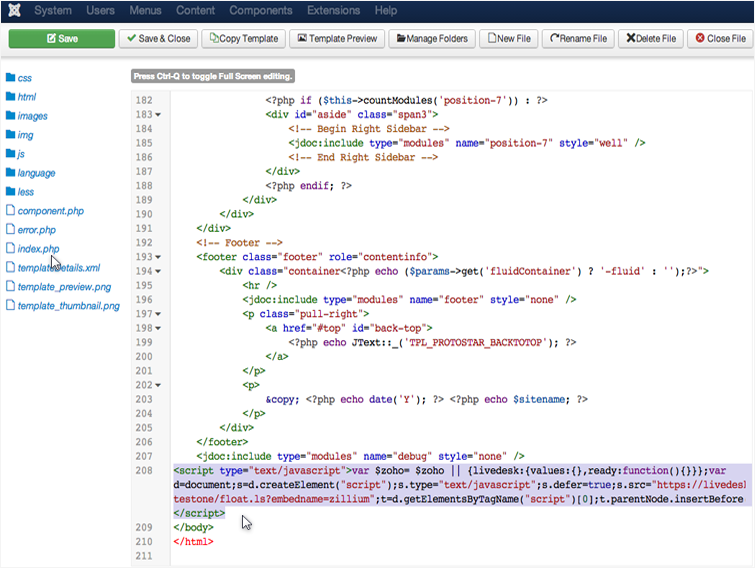 Then select the required template for your site. Select “index.php”. Paste the Zoho SalesIQ code between the body tags and “Save”.